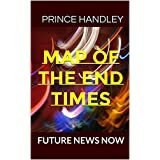 APOSTOLIC AND PROPHETIC « Apostle Talk: Future News Now! An example of a micro culture would be the children in Western and some European cultures labeled Generation Y(or those attempting to emulate them). These are the children of Baby Boomers and fall into the age group of 9 to 23. They are also referred to as the Echo Generation or Millennium Generation. They are more culturally diverse than any other generation and they ENJOY that diversity. Generation Y is about 60 million in numbers right behind the Baby Boomers who number 72 million; however Generation Y is extremely different. Many are from single parent families, or from families with two working parents … or a grandparent who is taking care of them. As a result they are usually financially responsible and more independent. Also, you should research the 13th Gen, America’s 13th Generation – born between 1961 and 1981. Sometimes culturally diverse societies have a commonality of access. For example, the Internet. As oppressive countries like Iraq and China find that Internet access is NOT optional if they want to do business in the global market, they have begun bringing the Internet into their geopolitical borders. Countries like China try to control free speech and thought on the Internet but that’s like trying to hide sugar from ants. Dictators who have tried to control the dissemination of information via the Internet have NOT developed an effective counter measure … and are NOT likely to do so. The technology gap between keeping the Internet out of an oppressive regime and that regime surviving in the global market is fast closing. Check this out. The Internet is ridiculed for its ability to quickly disseminate a “lie” … consider all the Spam hoax emails you’ve received. As helplessly as we try to eliminate Spam, so oppressive governments will NOT be able to”filter” out the TRUTH! Another PERFECT segment of society to reach with the message of the CROSS and then train to reach the world in these days before the return of Messiah. Think about it … and I suggest: ACT EXPEDITIOUSLY! FOR EMAIL ADDRESSES LOOK IN TRADE JOURNALS, MAGAZINES, OR NEWSPAPERS. THE INTERNET IS ALSO A GOOD SOURCE. YOU MAY RECEIVE EMAIL ADDRESSES THAT ARE SENT TO YOUR WORK OR HOME, ALSO, THAT YOU MAY REPLY TO. BONUS: SEARCH FOR EMAIL ADDRESSES IN ISRAEL. MAKE THE EMAIL MESSAGE SHORT; ALSO, YOU MAY ONLY GET ONE CHANCE TO EMAIL BEFORE THEY “SHUT YOU OFF”; THEREFORE YOU SHOULD APPLY FOR A NEW EMAIL ADDRESS JUST FOR THIS ONE MAILING. 3. OF COURSE, DON’T DO ANYTHING ILLEGAL, AND FOR SURE DON’T SEND “SPAM MAIL”. 4. YOU SHOULD ALWAYS GIVE RECIPIENTS AN OPPORTUNITY TO “OPT OUT” AT THE END OF THE EMAIL BY PROVIDING THEM AN “UNSUBSCRIBE” EMAIL ADDRESS, EVEN IF YOU’RE ONLY SENDING THE EMAIL ONE TIME. 5. IF YOU RECEIVE A REPLY ASKING FOR PRAYER OR SPIRITUAL HELP AND YOU DON’T KNOW HOW TO ANSWER, THEN GO TO THE “SEARCH” BUTTON AT THE RIGHT OF THE WEBSITE WWW.APOSTLE.LIBSYN.COM AND FIND YOUR ANSWER. FOR EXAMPLE, IF THEY ASK YOU A QUESTION ABOUT ANTICHRIST, JUST TYPE IN THE WORD “ANTICHRIST” IN OUR SEARCH SECTION. USUALLY YOU WILL HAVE SEVERAL ANSWERS TO CHOOSE FROM. SELECT THE ONE YOU LIKE, HI-LITE IT … OR COPY … AND PASTE IT INTO AN EMAIL TO SEND THEM AN ANSWER. Many times you will also need protection as you work on a projects like we have discussed in this newsletter. I knew of a high school teacher who was a wonderful witness for the Jesus Christ. One day a group of students who were Satanists or witches had a curse placed on a tape recording. They called the teacher on his telephone to play the recording to him. Before the teacher answered the phone, the Spirit impressed him to speak in tongues when he answered the phone. The teacher obeyed the Holy Spirit and the tape recorder on the other end of the line blew up (exploded). The next day at school this group of students told him they wanted what he had (about 10 of them as I remember) and he prayed with them to receive Christ! I prayed for an aunt of mine who was in the hospital more than 1,000 miles away. I had not seen her in years. I did NOT know what was wrong with her; only that the Lord told me to call her and pray for her in tongues. I did NOT know but she had an abdominal cancer as big as a person’s fist and was to have surgery the next day. When I prayed for her in tongues, the language of the Spirit, the cancer dissolved (disappeared) and she was healed instantly and did NOT have to have the surgery. Praise God! The Holy Spirit will also guide you as well as anoint you for creativity, power, and wisdom. Jesus said, “He [The Comforter] will guide you into all truth” … AND … “He will show you things to come.” The Spirit will not only guide you into spiritual and scriptural truth, especially the knowledge of salvation in Jesus the Messiah, but He will guide you into truth and protect you from deception in earthly matters if you seek Him and wait on Him. 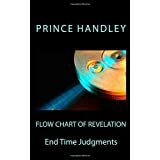 He will show you things to come, not only in spiritual and scriptural issues, but also in your life … many times warning you ahead of time of impending danger or an unwise move if you seek Him and wait on Him. The Apostle Paul received a prophecy NOT to go up to Jerusalem, but He did because the Spirit led him to. Another time he attempted to go into areas that he was constrained by the Spirit to NOT enter … until the Spirit directed him to another place where God wanted him. Let God’s Spirit guide you in the projects and fields of labor where HE wants you. The Holy Spirit knows what is BEST for you and the people to which you are to minister! There are different TRENDS throughout the years and throughout your lifetime and ministry. There are different TIMES of refreshing as well as seasons of opportunity. 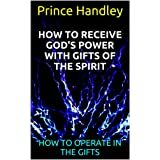 There are different ministries as well as gifts of the Holy Spirit … but only ONE LORD. Appropriate what He has made available to you and never forget to communicate the MESSAGE of the CROSS: the POWER of God unto salvation!